Orders over the value of £150.00 are delivered FREE within 5 working days in the mainland UK (England, Scotland and Wales). Otherwise, our standard UK delivery charge is £6.95. We also trade around Europe, Asia, USA and Australia. Below is a guide to the shipping charges for our average orders. Some items maybe slightly higher or lower. For an exact price, add an item to cart as if making a purchase, when you enter your address details, you'll get an exact price. *Please note that Saturdays, Sundays and Bank Holidays are not counted as working days. We use trusted delivery companies to deliver your order. 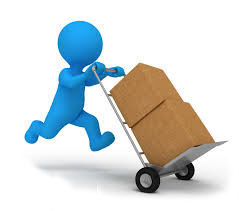 We use Royal mail, Parcelforce, and DPD depending on the size, weight and type of products you choose. The majority of our deliveries use a 'signed for' service meaning that our carrier companies will only deliver the items if an adult is available to accept the delivery and sign to say it has been received. Otherwise they will leave a card with information on the time the delivery was attempted and contact details so that you can contact the company to arrange a delivery at a time that suits you, or you can collect your goods from the carrier. To do this, remember to take some form of ID and remember that your goods will be held for a limited number of days so it is advisable to get in touch with the delivery company as soon as you can. WARNING: We have been alerted to the fact that there is a scam company which leaves fake cards regarding delivery of products. To avoid this scam, please ensure that the card you receive is genuine and call us to check if you are concerned.